Last night I attended the prestigious Guild of Photographers Awards Ceremony for the first time knowing that one of my images had been shortlisted as one of the Top 12 images in the Baby category. Whilst I was not expecting to win anything, myself and Claire Osborne from Claire Osborne Photography thought we would treat ourselves to a night out. Who really needs more of a reason to have a night out with your best friend and colleague? As you all know by now, each month I submit some of my client images into the Guild’s monthly competition where they are scored by a panel of Judges. Not only does it, for me anyway, ensure that I am delivering to my client’s a high standard but there are a number of other reasons which I will explain below. At the end of the year ‘Image Of The Year’ Winners and Finalists in around 15 categories are chosen from all the entries that have been submitted into the monthly competitions throughout the year. In December a shortlist of around 10-12 finalists in each category is selected from all the entries which were awarded Silver Awards or above in the monthly competition following reassessment by the Judges. The Finalists are notified of their achievement at this point so they can celebrate and make the most of their achievement publicity wise, should they choose to. The shortlisted images are then all printed and our Judges then review those and make their final selection of a Winner and Runner-Up in each of the categories. I can honestly say I never expected one of my images to be shortlisted for the Top 12 and it is something I am very proud of. 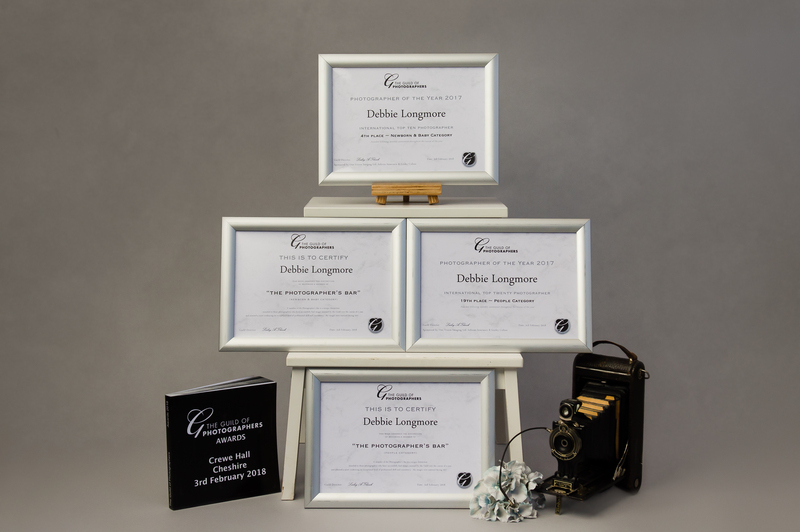 As well as the Titles detailed above those who obtain a score which finishes in the Top 10 of a genre at the end of the year will also be recognised as a ‘Top 10 Photographer’, and certification will be presented to acknowledge the achievement. Please note that the figure ’10’ is the norm but may be subject to change dependent on the circumstances at the end of the year (eg if a category attracts a very high number of entrants and/or particularly high scores the Guild may choose to acknowledge a ‘Top 20’, and by contrast if not enough entrants meet the required minimum criteria* the number could be reduced). HERE’S HOW IT WORKS .. Points are awarded to images entered into the ‘Image of the Month’ competition and the photographers getting the highest total of points in each section from any 8 months of the year (or less) will become the Guild’s ‘Photographer of the Year’ or a ‘Top 10’ photographer for that category (eg ‘Wedding Photographer of the Year’) – subject to a minimum 6 months entry in that section. The ‘All-Round Photographer of the Year’ title is awarded to the person with the highest combined score from any 8 months of the year (or less) in ANY TWO of the sections, subject to a minimum entry of at least 6 months in both scoring sections. It really is that simple. Members can enter as many images as they want to the competition of course, but a maximum of 3 images per section can earn them points in that categories Title chase, to make it fair to everyone. If an entrant does submit more than 3 images in a category, they are required to identify the 3 selections to be awarded points towards the titles with the available ‘Tag’ at the time of submission. If no selections are made by an entrant, the first three images submitted (as numbered by the upload process) will be the ones to accrue the points. HOW ARE THE POINTS AWARDED? Platinum – 10 points, Gold – 7 points, Silver – 4 points, Bronze – 2 points. A bonus of 2 points will be awarded to images selected as one of the Judges ‘Images of the Month’ and the overall monthly winner (ie the ‘Image of the Month’) will get a bonus of 3 points (obviously these bonus points do not apply to any images not pre-selected as Photography of the Year Title Chase entries by an entrant who submits more than 3 images in a genre within the same month). The points from 8 months of the calendar year will be combined to determine the final score in the Title chase of the sections which have been entered. If a photographer enters more than 8 months in the year, their highest scoring 8 months will be the ones that count. I am thrilled to say that I achieved 4th in the Newborn and Baby Photography of the Year and 19th in the People Photography of the Year categories making both the Top 10 and Top 20 lists respectively. In other words any member who can secure 24 points in one section of the Photography of the Year Title chases from 24 images in any 8 months of the same competition year (ie their chosen 3 POTY images X 8 Months in the same category) will be awarded honorary life membership of the ‘Photographer’s Bar’ in order to acknowledge the fact they have submitted strong images consistently throughout the year in competition judged in accordance with national scoring criteria – a distinction that is very difficult to achieve!! Membership of this exclusive club is clearly something to aim for. Achieving the Bar is very difficult, and I am over the moon to have achieved the Photographers Bar in both the Newborn and Baby and in the People categories this year. Previous Post Deborah Longmore Photography achieves international acclaim!